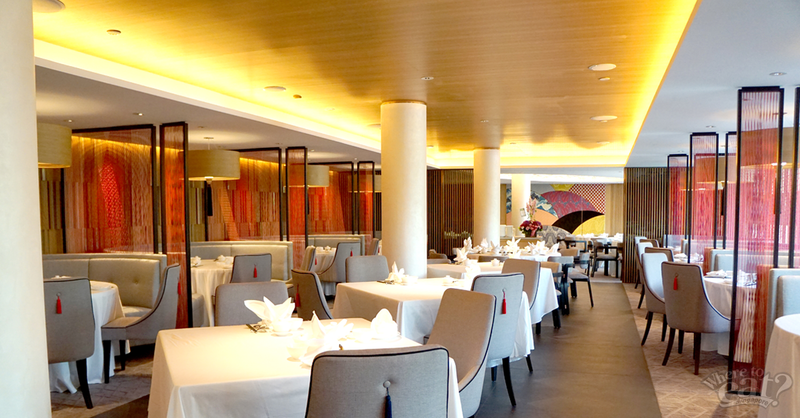 Yan, a Cantonese restaurant, that sits on the fifth floor of National Gallery Singapore has already opened its door to the public despite the art gallery building isn’t set to open until 24th November. The restaurant, which seats approximately 150 people, is a step up from your usual noisier, more rowdy Chinese jiu lou. 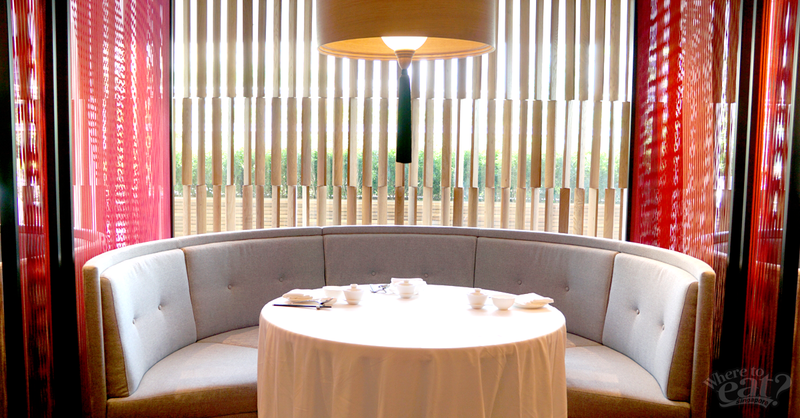 Outfitted in a nice blend of elegance and simplicity, this is easily one of the city’s stylish Cantonese restaurant. 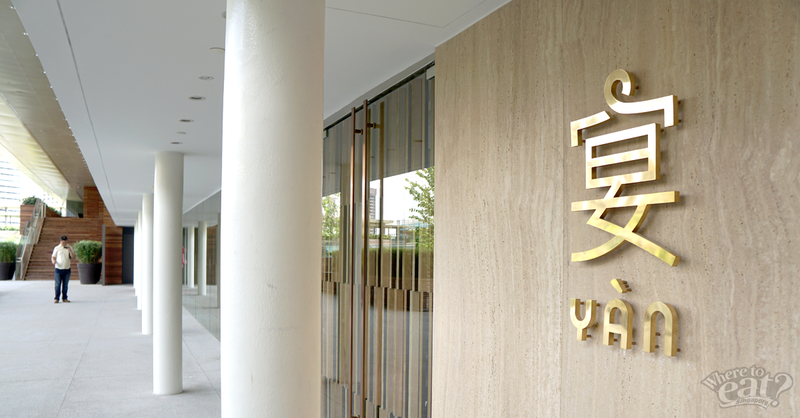 Even their patterned chopsticks and dishware are hand-picked by the boss! Parallel to the contemporary design of the restaurant, Hong Kong-born chef Chan Kung Lai dishes up familiar cuisines, but with a cleaner touch to them. We aren’t strangers to suckling pig – and you might be quick to assume that they’re usually greasy and your appetite would be jaded by after a few pieces. 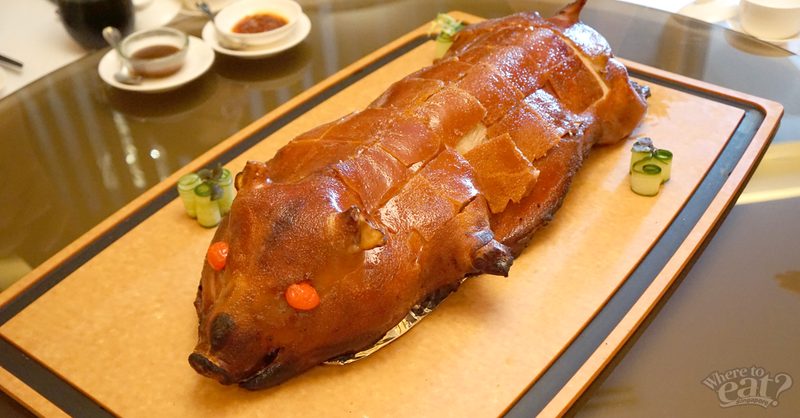 With Yan’s Signature Crispy Roasted Suckling Pig, you can rest assure that it’s not going to happen. 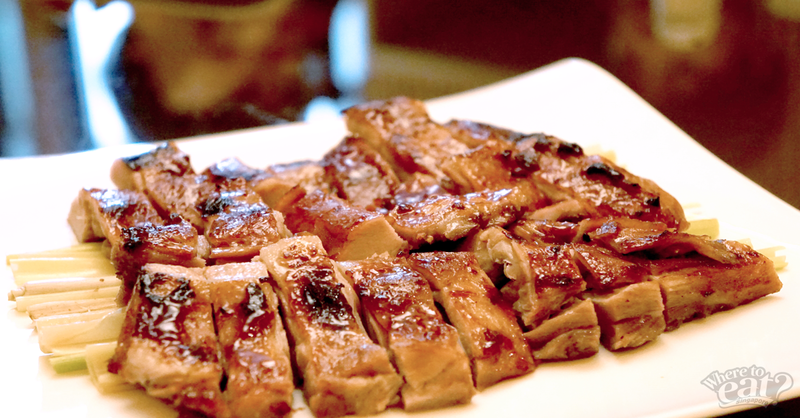 The restaurant unyielding choice of using suckling pig from Hunan has a reason, and we get why – no porky smell at all! The kitchen designed the dish into 3 methods of eating; first the squared crispy skin atop steamed wafer with cucumbers, then they bring it back into the kitchen and chopped its flanks and thigh into chunks of meat, lastly oven-baked the fillets with lemongrass. The triology of this suckling pig starts off as a crackling orchestra and ends in an impressive tender and juicy enigma of whether it’s chicken or pork. Summertime (which is most of the time in Singapore) is high-time for coconuts! 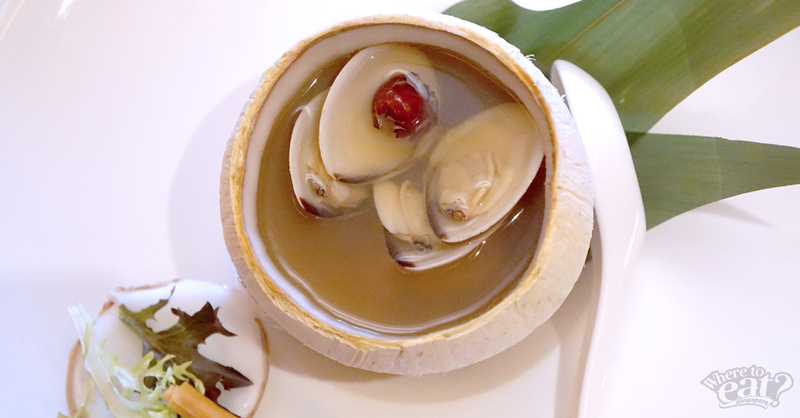 Double-boiled Chicken and Soup served in a Young Coconut and Crispy Breadstick has a subtle fresh sweetness and savory deliciousness from coconut juices, chicken flesh, conpoy (dried scallops), dried longans, goji and fresh clams. Using Teochew crabs, the chefs defleshed them and pan-fried the meat on steady fire until moisture is almost lacking to retain a firm but moist texture. 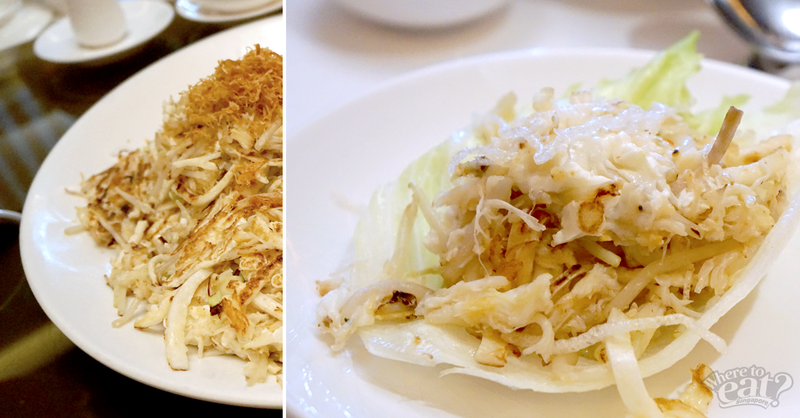 Wrapped and eaten with lettuce, the naturally assertive savory taste of crab meat is toned down a little and adds a greenness to the bite. Steaming fish is a very traditional Cantonese method of cooking fish, gently cooking the fish on low heat until just the right tenderness. Chef Chan chooses to cut the fish in squares so that when steaming, they will be cooked in a more uniform manner. 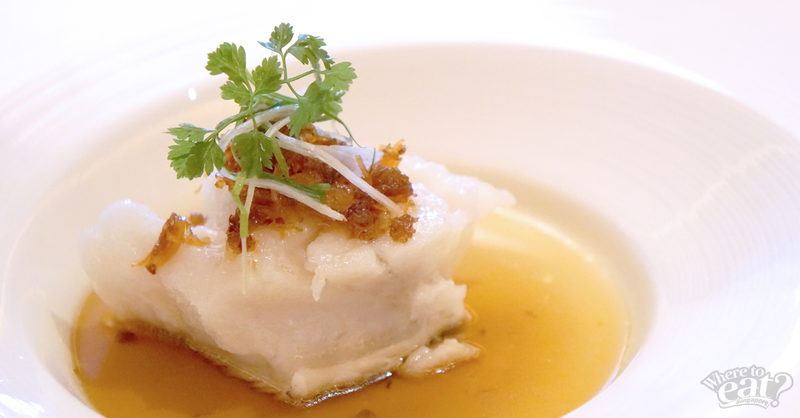 Served on a pool of well composed XO sauce, the fish absorbs more sauce as it sits. One bite of fish and you’ll have this amazing collagen-buttery flavor lingering in your mouth. This whole dish is all about art, with the right colors and placement. Little do you know it is also a work of art to the tastebuds. Hot broth is poured over the deep-fried noodles that are shaped into a ball, soaking up and softening the noodles but still crispy at some parts. 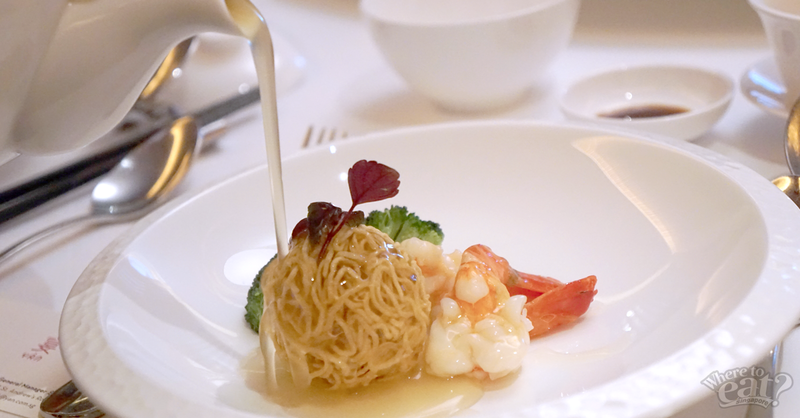 The delicate-looking broth actually makes a whole lot of difference to the dish and the two accompanying sweet prawns. 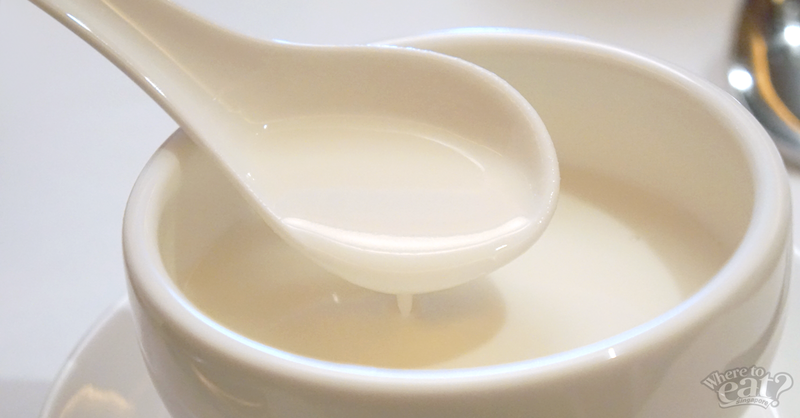 Basically, Hot Almond Cream is a Cantonese dessert that requires the pulverizing of almond nuts and cooked into a thick, fragrant paste that is sapid and comfortingly sweet. 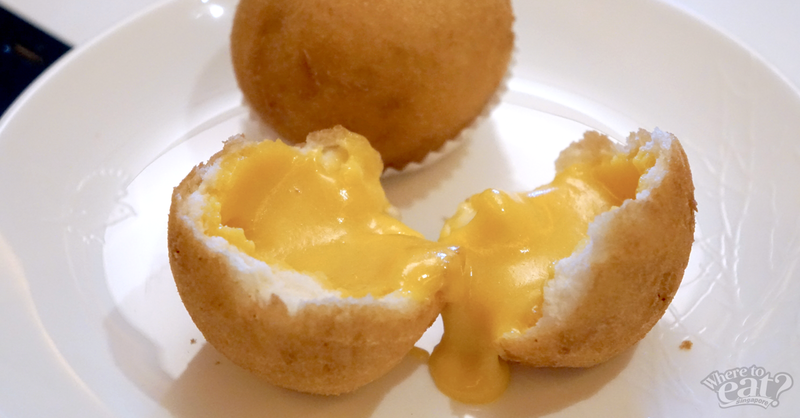 Deep Fried Custard Bun filled with Salted Egg Yolk will bring you sufficient pleasure with its quiet complexity. The bun is dense and crispy, and the salted egg yolk custard center gently bursts into your mouth as you bite down. Make sure to order this orb of pleasure when you’re here. Yan provides dim sim for lunch on the weekends from 2:30pm to 5:30pm, so you can expect numerous delicate Cantonese bites at the mercy of your chopsticks. If you’re looking for a place to oversee the area around National Gallery Singapore, head up to the sixth floor right above Yan where Smoke & Mirrors is. The bar and lounge serves a menu of alcoholic and non-alcoholic beverages, with Chinese bar food supplied by the Yan kitchen.